Staff were extremely friendly and helpful! short, easy to remember, walk to the Beach. Close to many restaurants and pubs. Hotel was always clean. The staff was WONDERFUL, HELPFUL, and willing to help. The location was sensational and logistically perfect. Quite street and walking distance to shops, bar, great and casual restaurants, beach, supermarkets etc. 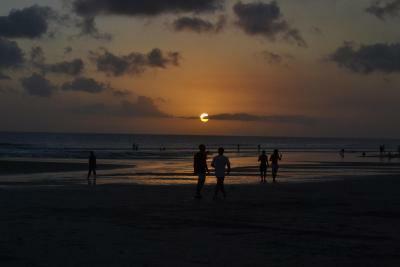 Its located in the border between Legian and Semiyak. 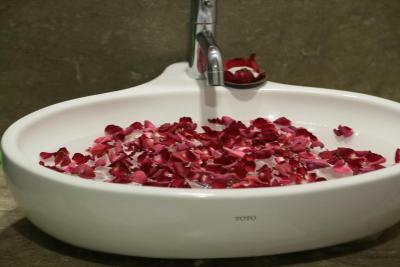 The only thing I liked about this hotel was all of the staff members were professional, great and friendly. I like this place, small rooms but well organised. It was very clean and a great comfy bed. The wifi was good too. A good location midway between shopping in Jalan Legian and the beach (maybe a 15 minute walk). Overall this place was value for money - very happy with my stay here and the roof top pool. The staff is really Polite and friendly. The beds are comfortable. Very friendly and helpful staff, the perfect place to stay if you are arriving in Bali late in the evening and need a chilled, relaxed, easy first night! Lobby was nice. Good location and roof top pool had good view. The staff were so accommodating and helpful. They went out of their way to assist any way they could. 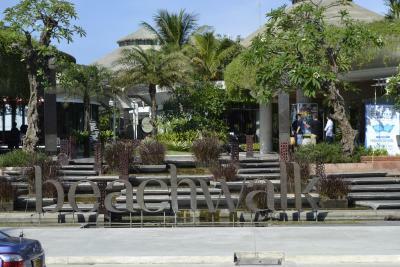 It was central to all shops and restaurants and a short taxi ride to Seminyak and Kuta. Room was spacious and warm. Pool on the roof was amazing. Really really nice place to stay. 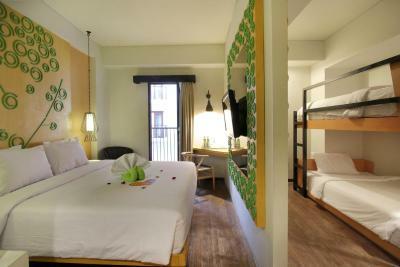 Housing a restaurant and a spa, MaxOneHotels.com@Legian boasts modern rooms with private balconies. Legian and Double Six beaches are just 0.9 miles away. Free WiFi access and free scheduled shuttle service within Legian area are provided. 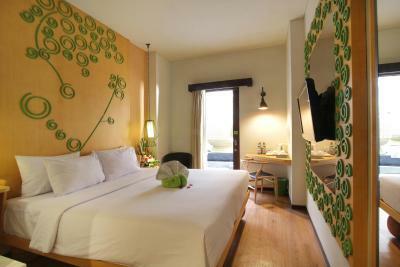 MaxOneHotels.com@Legian is 1.2 miles from Ground Zero and Sky Garden club, while Discovery Mall and Beachwalk Mall are 2.5 miles away. The property is 5 miles away from Bali Denpasar International Airport. 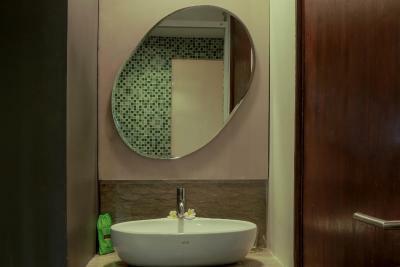 Fully air-conditioned, each room includes a desk, flat-screen cable TV and a private bathroom with shower facilities and toiletries. Guests enjoy the convenience of on-site laundry service and a 24-hour front desk with luggage storage facilities. Airport transfers can also be arranged at a fee. Offering room service, the restaurant serves Indonesian and international delicacies. 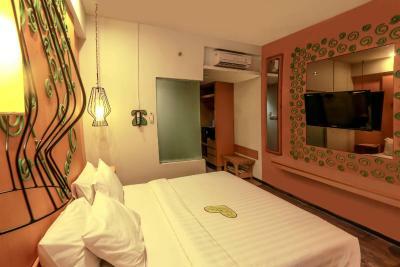 MaxOneHotels.com at Legian has been welcoming Booking.com guests since 30 Jun 2014. 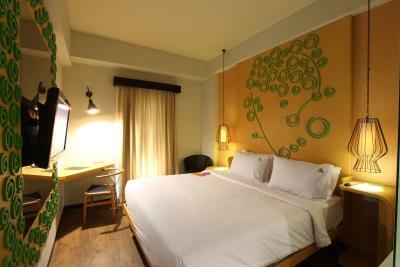 When would you like to stay at MaxOneHotels.com at Legian? 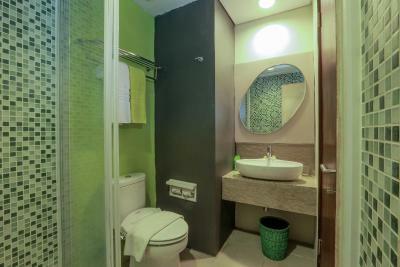 Featuring a private balcony, this air-conditioned room comes with a desk, flat-screen cable TV and a private bathroom with a shower and free toiletries. 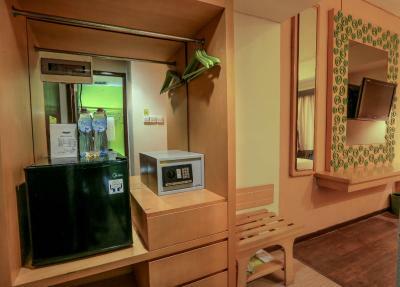 Guests enjoy 10% discount to food and beverages as well as laundry service. Featuring a private balcony, this larger air-conditioned room comes with a desk, flat-screen cable TV and a private bathroom with a shower and free toiletries. This offer consists of 2 Happiness Rooms. Please note that the rooms are not interconnected and requests for side-by-side rooms is not guaranteed. MaxOneHotels.com stands for value to the MAX, number ONE in service. MaxOneHotels.com is design to provide a stylish yet value-oriented accommodation in all city centers, with particular attention to the needs of professionals on the move. Bedroom are sold on basis of the earlier you book, the less you pay. Peak season cost more than less popular season. 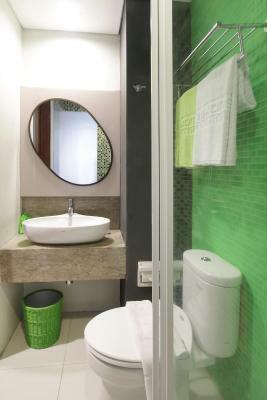 House rules MaxOneHotels.com at Legian takes special requests - add in the next step! 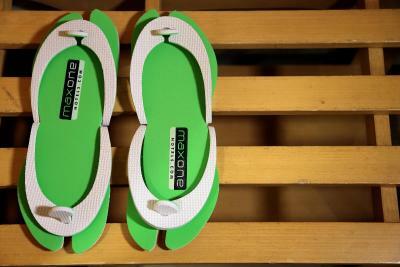 MaxOneHotels.com at Legian accepts these cards and reserves the right to temporarily hold an amount prior to arrival. 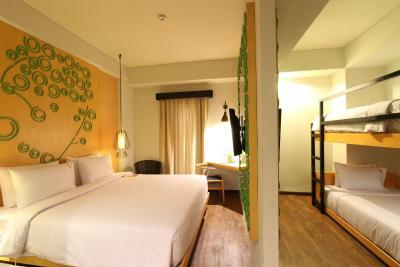 Please inform MaxOneHotels.com at Legian in advance of your expected arrival time. You can use the Special Requests box when booking, or contact the property directly with the contact details provided in your confirmation. The rooms were fairly run down and the bathrooms could definitely do with an up grade. Eg fixed showers etc. I loved the staff and the location. There was a bad smell outside our room. I complained and suggested to be moved somewhere else but didn't happen. Beds are not that comfortable. Breakfast was almost the same thing every day guest who pay for breakfast should be able to eat as much eggs as they want. . Should upgrade menu for breakfast aswell. Should have things suitable for tourist as not all of us like to eat Indonesian food. Well I didn't have a problem but my brothers gf did. Also False advertising sent me a message to say it is free to check out at 21:00pm instead charging me $400,000 rupiah for came to the day was told check out at 12 PM. Lift was broken and after climbing 3 sets of stairs each night the card to the front door of the room needed resetting so had to go up downstairs several times not good for someone older with poor knees. 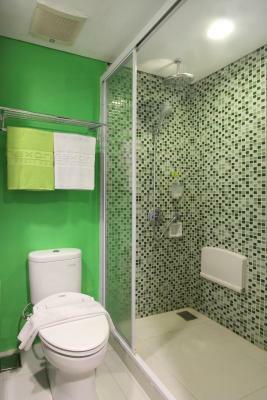 Keep room services and bathroom in working condition.